During my time reviewing various books, I’ve focused on Wicca and other pagan paths, focusing on basic beliefs and pan-pagan beliefs. I’ve only had a few opportunities to read about the belief systems of specific groups. To date, I think I have reviewed only about four Druid books, and I’ve been incredibly lucky to find that those books, as a group, are exceedingly good. The Path of Druidry is no exception. I went into this book trying not to have any preconceptions, and it’s a good thing I did. This book really isn’t like much else out there. It has chapters, yes, yet, in each chapter there are unique items that need to be highlighted. First, the information contained within is about as complete and accurate as you can get without actually joining one of the more well known of the Druid orders out there. I found little to fault in what Penny Billington says in those chapters and chapter parts. What struck me forcefully is that there are “study breaks” in which she gives very long and detailed guided meditations for the reader. I found myself falling into a half trance and going through the meditation while reading and truly benefiting from the focused meditation. I think that those who don’t have a lot of practice with a meditation would do well to record them in a wav and play them back over an MP3 player, which is what the author suggests. Also included, and overlooked in many of the lesser books of Druidry, are the myths of Wales. Ms. Billington is a member of the OBOD, the Order of Bards, Ovates and Druids, one of the “Three Big Orders” and the only one who can trace its roots back into the late 1600’s, has studied these in depth since the OBOD is Welsh based and has faithfully reproduced the stories here. These stories are important in that mythology to a Druid is THE lore. In the myths you find examples of how to live, how to behave, how to worship and cast magic, how to live as a person with your neighbors. These two elements, the lore and the meditations, make this book unique in my opinion. This is a work that will fit well with many other works on Druidry out there, and should be bought for the shelf of anyone who is serious about studying Druidry. However, there is one caution I should make. This lore, this path is a specific one. It is not Irish Druidism, nor is it the Druidism practiced in Gaul. It is based on the writings of Iolo Morganwg and as such should be understood to be only one branch of many. Just as a tree has many leaves, so too are there many pathways of Druidism, and this is only one of those. Granted, it’s a shining example of what should be taught to others, but it is just not the whole of the tradition. With that final caution in mind, I’m giving this 4 and a half stars from 5. 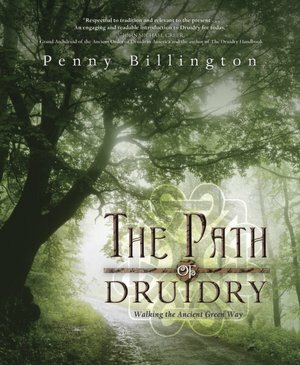 If you have even a passing interest in Druidry, this would be something that you should have in your library.